A rise in home prices may be a good sign, but analysts are concerned about the effect on buyers. Without proper planning and self-control, they predict another housing crisis in the future. 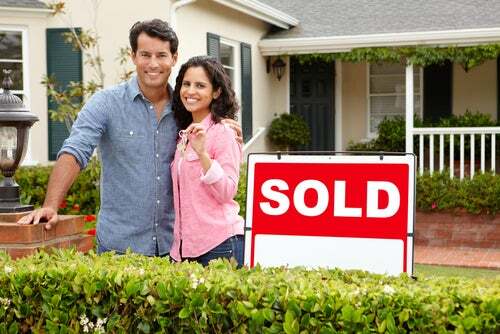 If you are in the market for a new home, take these tips with you before casting your bid in a competitive sale. An inflated mortgage is a credit repair no-no. Don’t get in over your head. 1. Set a bidding limit. Mike and Kelley are newlyweds in search of their first home. They live on the outskirts of a large city with a strong tech company presence, resulting in expensive homes and a competitive buying environment. They find a house within their price range of $350,000, but are quickly outbid by three other offers. Undeterred, Mike and Kelley raise their bid and win the house. On the downside, they are now responsible for a mortgage that exceeds their budget by $85,000. Although Mike and Kelley had a budget before buying, they didn’t understand when to walk away from a bad deal. At 4.0 percent interest, $85,000 will add at least $350 to their monthly housing costs, money they cannot afford to spend. The moral? Mike and Kelley’s situation is not uncommon, but it is avoidable. Don’t get caught up in the excitement of a bidding war. Find your budget and stick to it. 2. Edge the price up (not out). Searching for a home in a competitive market can feel like a rat race, and it’s important not to overextend your stride. Mike and Kelley bought a house they couldn’t afford based on adrenaline, a choice that is likely to land them in credit repair trouble in the future. If you do find yourself bidding for a home, don’t edge yourself out of the deal. If another buyer is offering $350,000 for a home that is overpriced, don’t go overboard with your counter-offer. Upping the price prematurely is a great way to ignite an overzealous bidding competition. Consider offering a small increase (e.g., $352,000) and wait for a response. A modest and deliberate bid could seal the deal. 3. Appeal to the seller on a personal level. In conjunction with modest bidding, a personal appeal could help you outshine other bidders. If you are neck-and-neck with another buyer, ask your realtor to meet with the seller on your behalf. Putting a face to your name will help you stand out amongst the others. Ask your realtor to explain who you are and why you want the house (e.g., to expand your family, settle down in a good neighborhood, etc.) When you are on a budget and a bidding war is inevitable, this non-conventional trick could make all the difference. 4. Don’t waive the inspection. When you’re desperate for the dream house, it can be easy to give up certain things in favor of a quick sale. However, one thing you should never forgo is the home inspection. Losing your right to a home inspection means you cannot cancel the sale contract or negotiate repairs before the closing date. That means a leaky roof, damaged floor, or other problem will be your responsibility. Sure, you might love a property, but expensive repairs can add up fast. It’s not worth the risk. 5. Don’t forgo the appraisal contingency. When Mike and Kelley waived the appraisal contingency when they bid on their home, hoping to streamline the process and appeal to the seller. Once they won the bidding war, they signed a contract with the seller and put down a 10 percent deposit as earnest money. While they agreed to pay $435,000 for their home, its value was only appraised at $360,000. Unfortunately, their lender can only provide a mortgage for the appraised value, forcing them to find the remaining $75,000 from another source. If they cannot secure full financing, their contract will be cancelled and they will lose their earnest money. Mike and Kelley are quickly learning about the plights of careless bidding. Not only could they lose their earnest money (a whopping $43,500! ), but they must also take out a personal loan for $75,000 in addition to their mortgage. What was supposed to be an exciting purchase is quickly turning into a stressful and burdensome process. The bottom line: Buying a house can be complicated, but the woes of careless bidding outweigh the benefits of homeownership. Don’t sacrifice your sanity for a piece of property. Avoid the competition and stick with a home you can afford. This entry was posted in Loans and tagged mortgage. Bookmark the permalink.